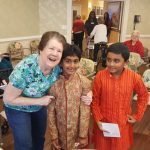 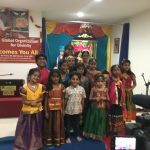 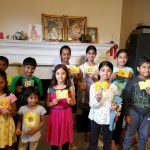 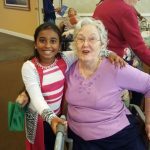 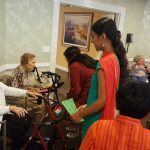 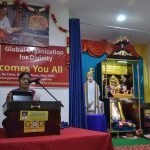 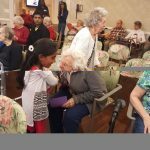 By Sri Swamiji’s grace, Virginia Gopakuteeram children got an opportunity to perform at “Our Lady of Hope Health center” (senior assisted living) on Sunday, December 17th 2017. 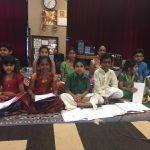 The kids recited Maha mantra followed by a beautiful instrumental medley. 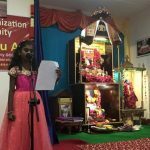 They recited Achuthashtakam, Lingashtakam and Chirstmas Carols. 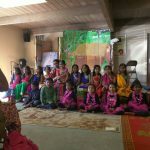 Some of the kids also did solo performances. 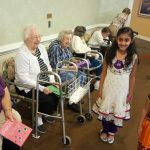 Kids also made greeting cards and handed them to the gathered seniors. 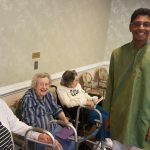 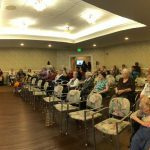 About 30+ seniors attended the event.After the program Virginia Namadwaar brethren spent some quality time with the seniors as well.